This is a try at the 90% biga loaf. While the oven spring was not great, not bad just not great the resulting loaf was light and airy with a open moist crumb. The flavor and aromas were top shelf. I cut the pictured loaf while still a tiny bit warm, because the aroma just became too much to resist. I ate almost half the loaf with some fresh made butter in one sitting. I'm not proud of myself, but it is what it is. LOL!!! with a crumb that looks like that! Well done! 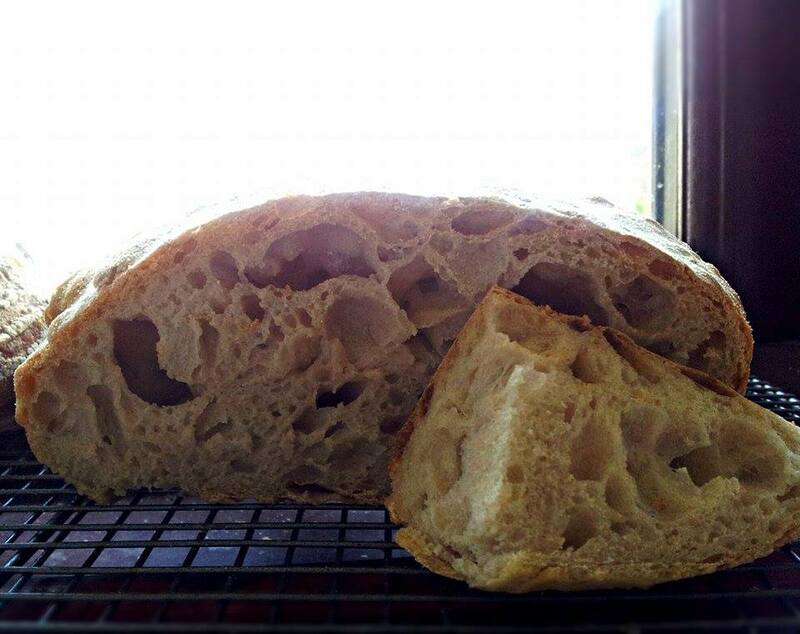 Biga: 900 grams of bread flour + 405 ml water + 3 grams of instant yeast or 90 gr sourdough. Disolve the yeast in water. Add flour. Mix 1 minute at slow speed, just until you get wet flour threads. We don't want to develope gluten in this stage. Let the biga mature 14-16 hours at 14-16 degrees celsius inside the same mixer bowl, covered with kitchen rag. Final dough: All the biga + 100 grams stoneground flour + 300 ml warm water + 20 gr salt. I used the 90 grams of sourdough starter in my bake. Bulk fermentation: around 1 hour. Divide and preshape. Let rest 30 minutes. Looks like a great loaf to make when you need something for the next day! i made one of these the other day, really really good bread.....and easy as its very hands off for most of it.